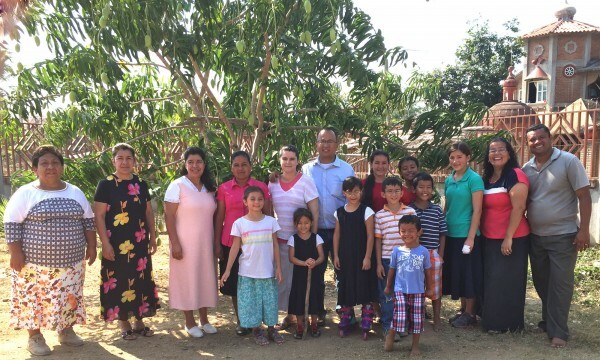 From April 1st to the 5th, we took a group of 16 people from our church in Puebla (including our family) to visit my sister Aglaee and her husband in Cuajinicuilapa. My brother-in-law and my sister are doing an excellent job in this town. Cuajinicuilapa is about 9 hours south from Puebla, and only three hours from Acapulco. It’s very hot and humid; about thirty minutes from the Pacific Ocean. During our time there, we went out soulwinning and our group was able to lead 30 people to the Lord, and 15 came to church on Sunday! Praise the Lord they were encouraged in their third anniversary with the church. We continue with our vision to reach Puebla with the Gospel. This is our soulwinning group that went out two weeks ago to knock on doors and tell people about salvation. My wife and I were able to lead four people to the Lord. Just so you can understand why is a little more difficult to lead people to the Lord here in Puebla, I would like to give you an example. On our trip to Cuajinicuilapa, ten of us went soulwinning and 30 people got saved. Here in Puebla, over 30 people went out soulwinning, and only seven people got saved. And it was a good day! Normally we see three or four people saved, during our soulwinning time on Saturdays. Please pray for Puebla, we love the people, and we want to reach them before it is too late. That is why we are constantly praying for God to let us start 20 churches within 20 years here in the city. Our Soulwinning Group here in Puebla!